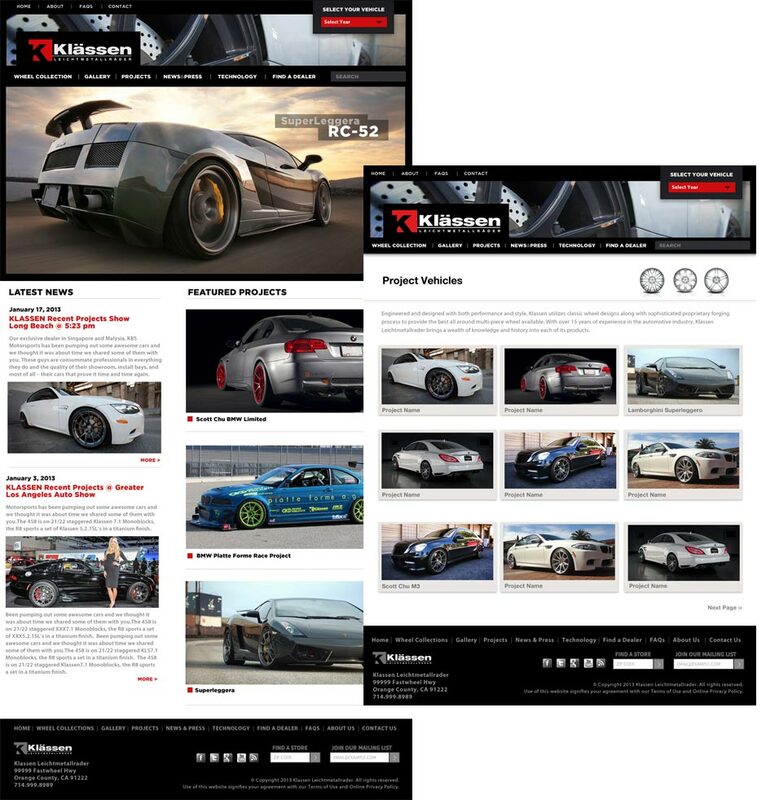 Designed several sites working with my partners PartsLogix, including Klaassen Wheels and RWC. 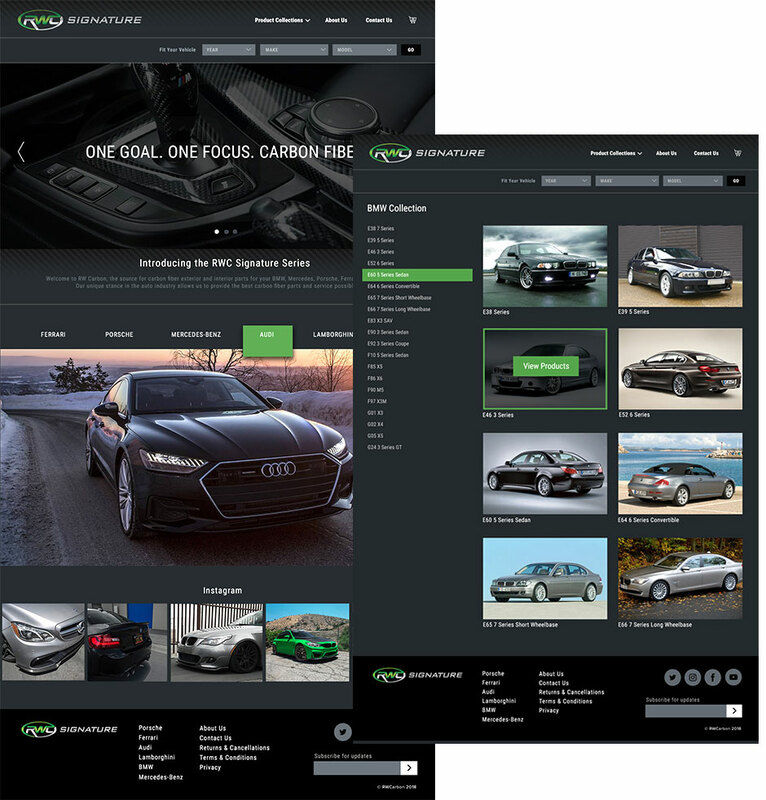 Parts Logix created a powerful Year, Make and Model lookup application which attracted many automotive aftermarket clients that I helped bring to life. My client for over 10 years, Brand X is an organization of stuntmen, stunt coordinators and 2nd unit directors in Hollywood. 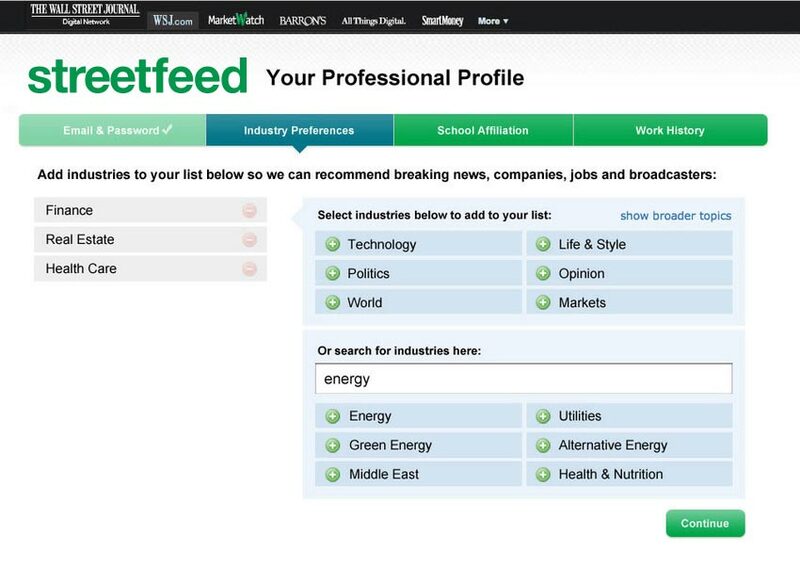 Site includes an admin area so members can keep their personal credits up to date. It's like a mini IMDB. 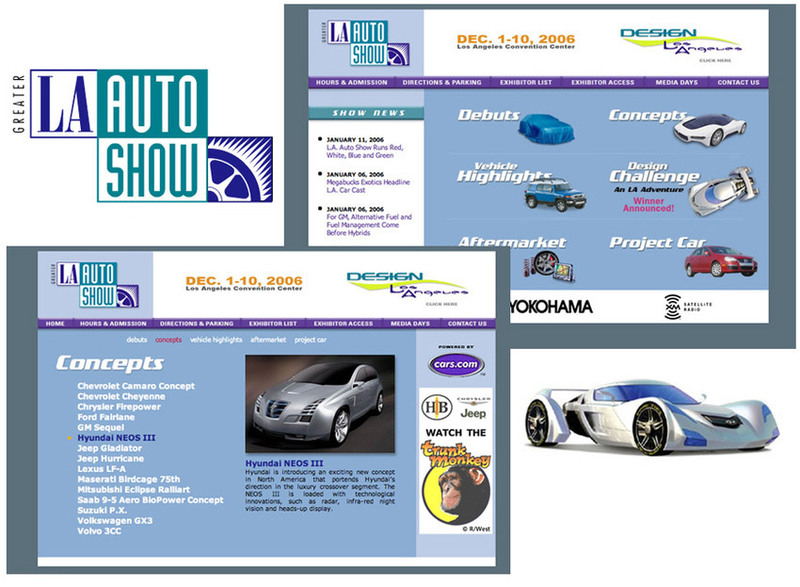 The LA Auto Show is the 2nd largest show of it's kind in the US, behind Detroit. 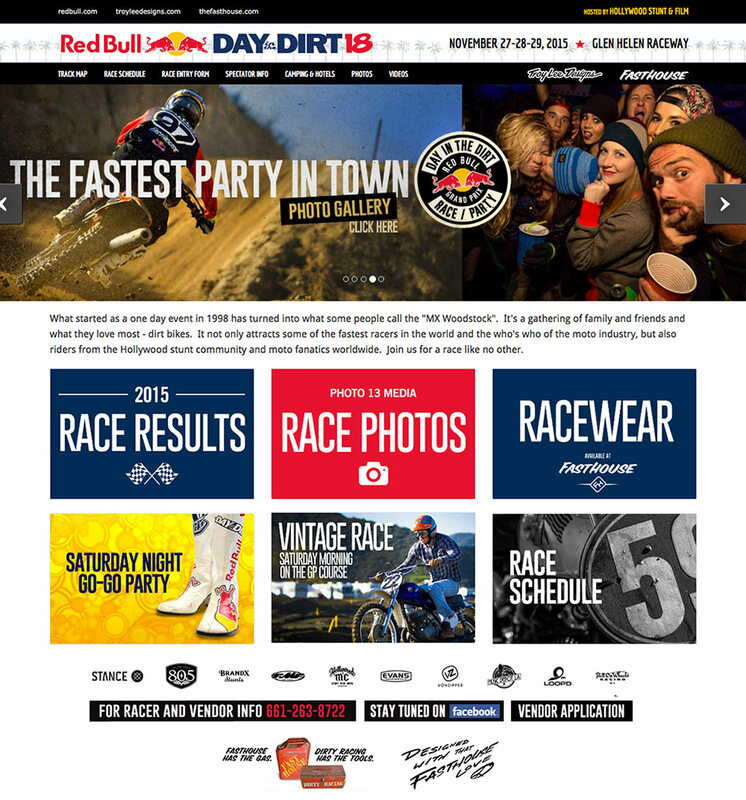 My team designed, developed and managed this very high profile site for several years. During showtime, traffic would jump into the millions. One of the highlights was the interactive Concepts section, where viewers would get a unique sneak preview of the coolest rides at the show. 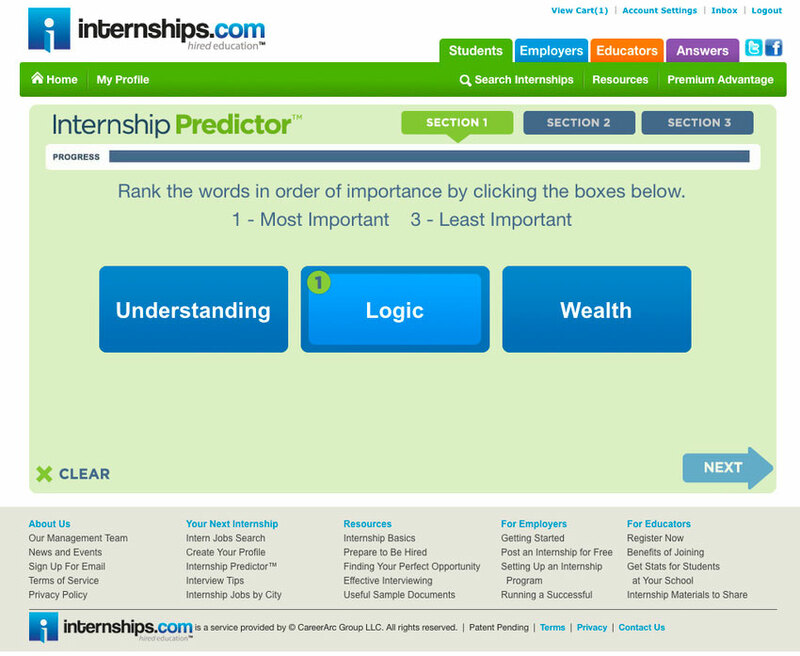 At Interships.com, and using proprietary algorithms from experts in the career placement field, I designed this interactive "internship predictor" which helped students zero in on their future career path. As the test could take up to 20 minutes, it was designed to be fast and reduce fatigue through the colors and interactions. 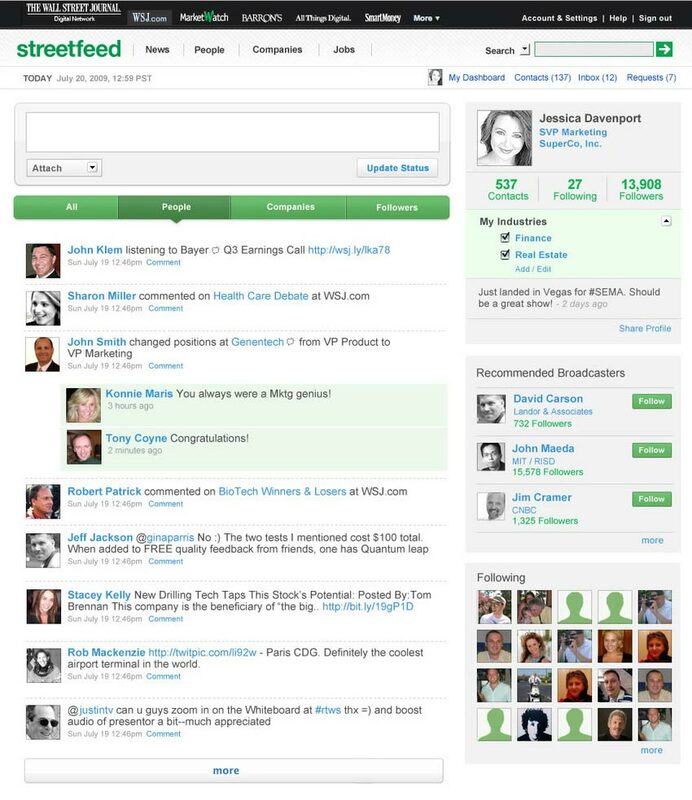 When LinkedIn was nothing more than a place to make connections, a small team of us at Slingshot Labs (a NewsCorp startup) were working on a "real" social business network. I did all the UX/UI work, participated in some serious brainstorming sessions, and came up with the name. TechCrunch caught wind of our top secret project and used the term "LinkedIn Killer" in an article. But politics way up in some New York City skyscrapers, a little scandal involving Rupert Murdoch, and a deadline that passed without additional funding eventually killed this idea. HIGHLIGHT: Created a Photoshop action that would take any uploaded profile photo and convert into a near perfect "stippled" WSJ-style profile headshot. That would have been cool. 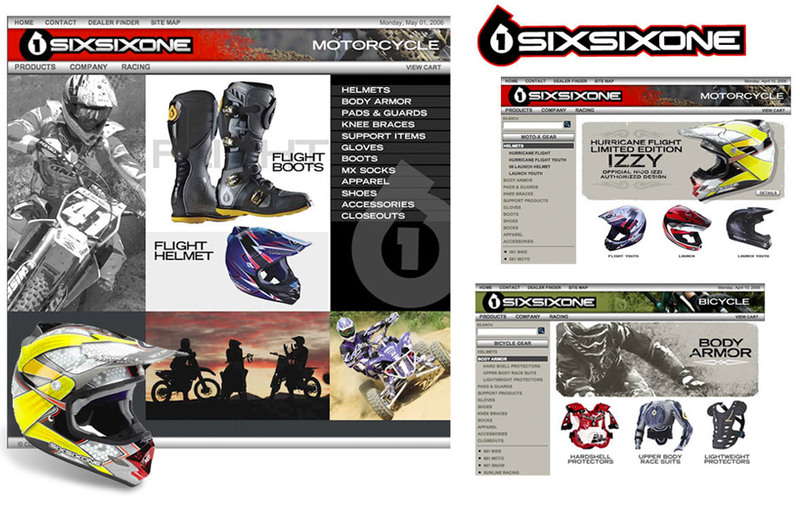 Another leader in safety and protection for motorcycle and bicycle racing, SIXSIXONE was one of my favorite clients for nearly 10 years. 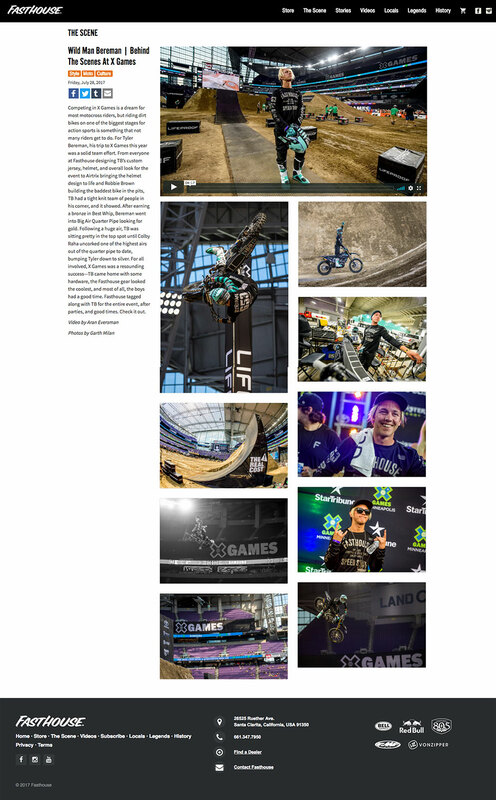 Built their first ecommerce site, handled all their online marketing and even dabbled in some product design. 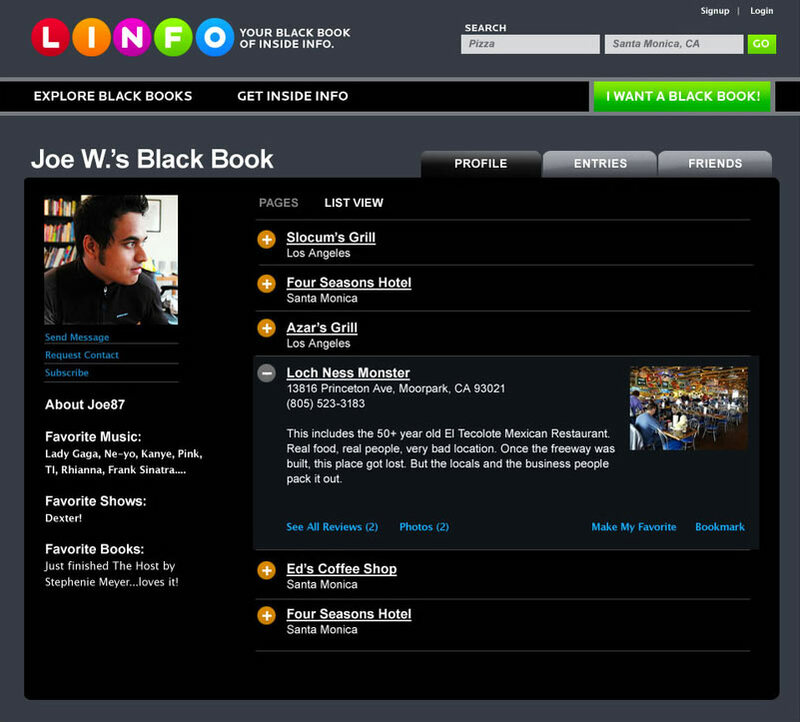 LINFO - "Your Little Black Book"
A very ambitious attempt at turning the concept of sharing your "secret spots" with friends. It was 2008. Facebook was blowing up. Yelp was the new cool thing. But this idea just couldn't grow legs. 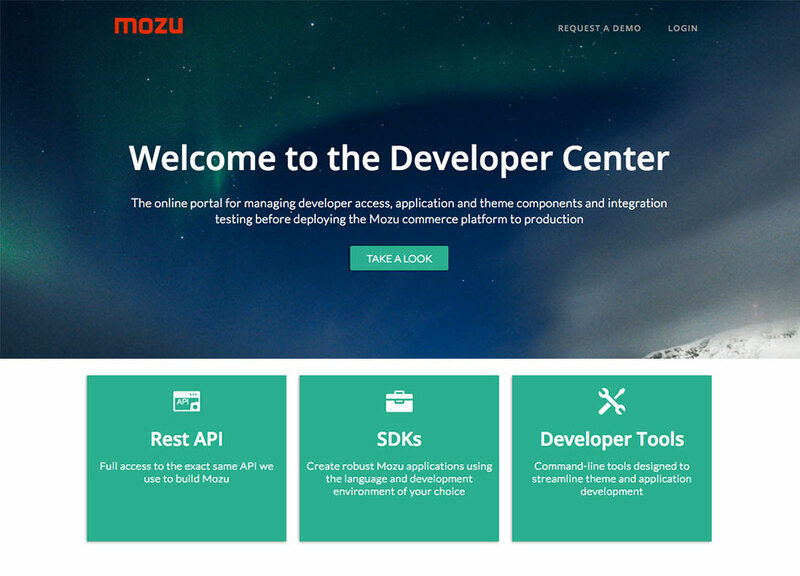 Sample of one of the many pages I designed and prototyped for Volusion and Mozu. 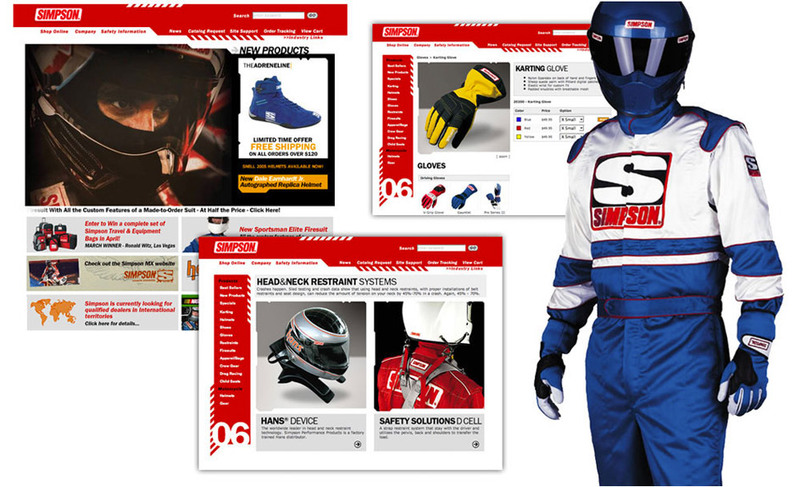 Simpson has been the leader in motorsports safety equipment for over 60 years. Bill Simpson introduced the first drag racing parachute, fireproof driving suits and other driver safety innovations. I designed, developed and managed their online store for about five years. Created a complex, interactive "Custom Driving Suit Designer" (in Flash), that allowed customers to select base and trim colors, features and add-ons, including name embroidery and sponsor logo uploads and placement. This took the sale team out of the "coloring book" phase and into a efficient method that was also purchasable online. 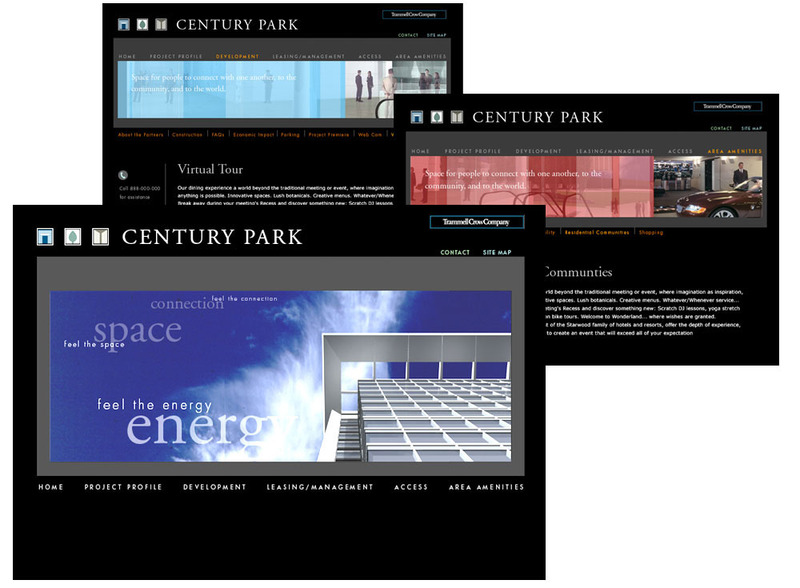 Designed and managed site development for several large commercial complexes around the Los Angeles area. Features included interactive "available space locators and configurators" and full custom admins to manage events, leasing, and news updates.